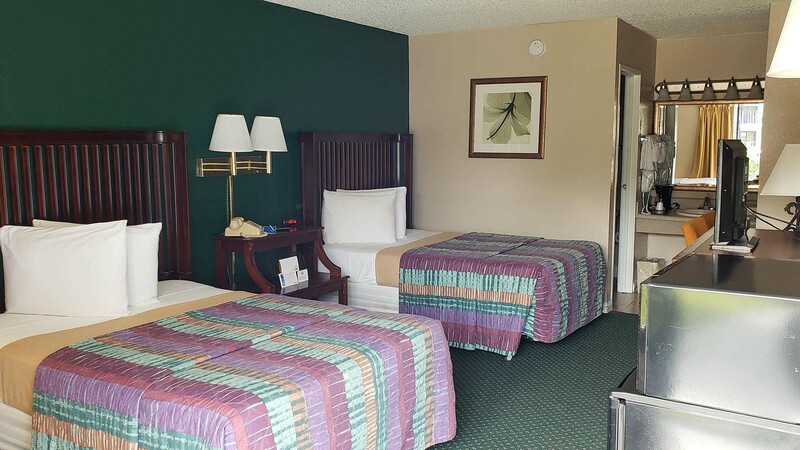 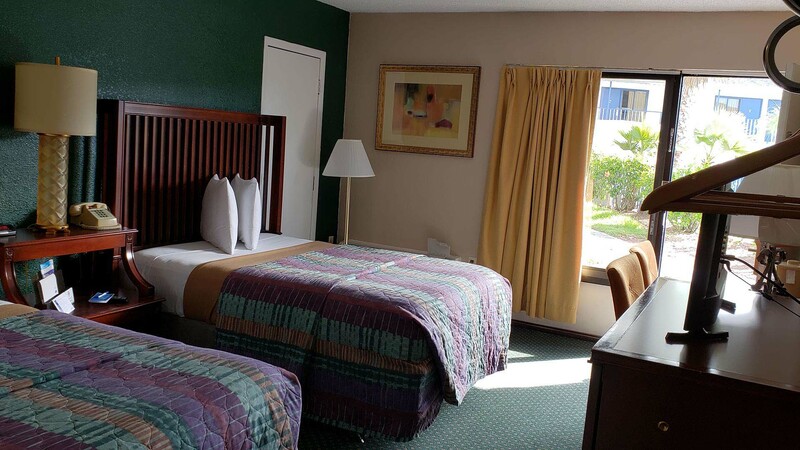 Our oversized guest rooms are extra clean and comfortable. 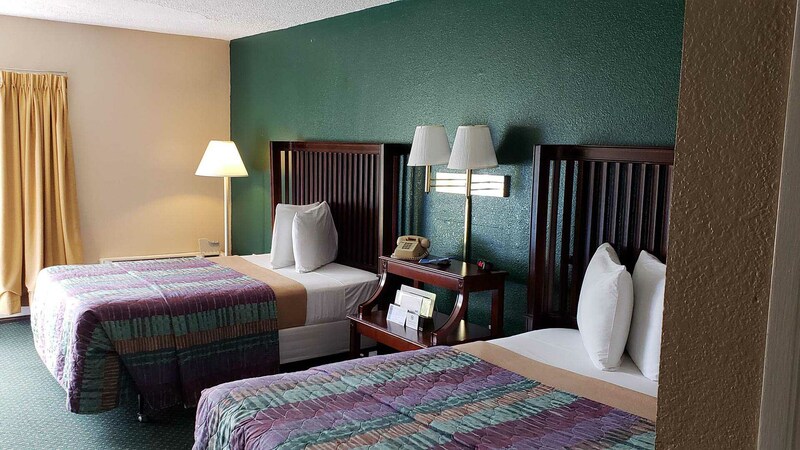 Most rooms have two double beds and can accommodate up to five people with a crib or roll-away bed. 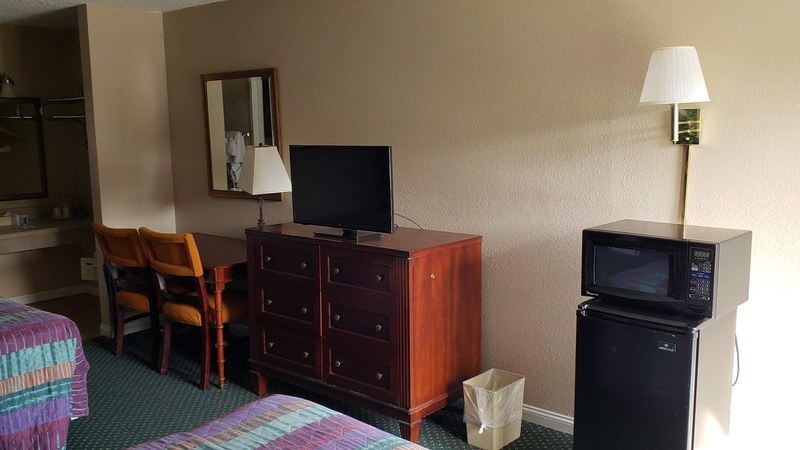 Family-sized room with two double beds, telephone with data port and voice mail, large color TV, In-room safe, coffee maker, individually controlled AC/Heat and clock/radio. 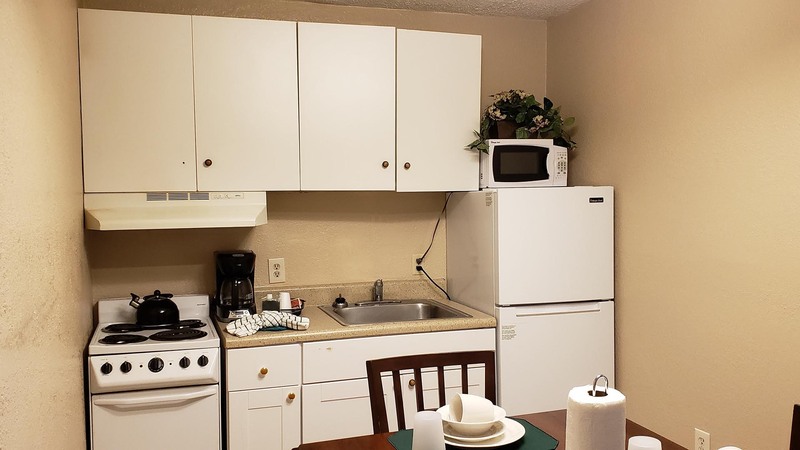 Same comfortable room as above with Microwave, Mini-fridge & guaranteed pool view. 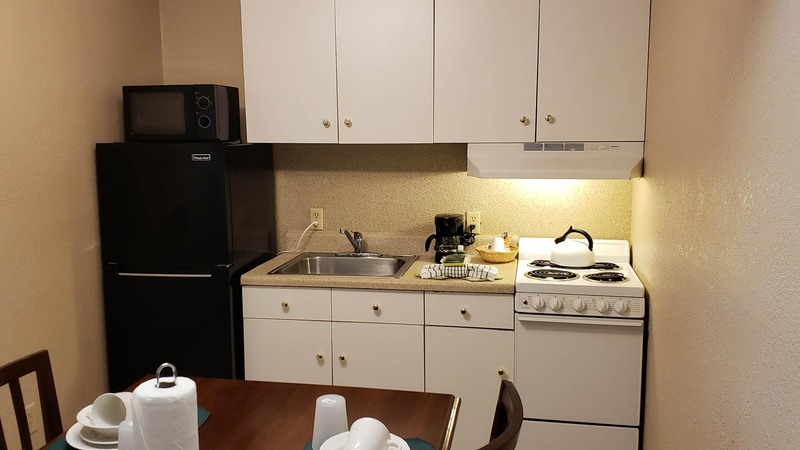 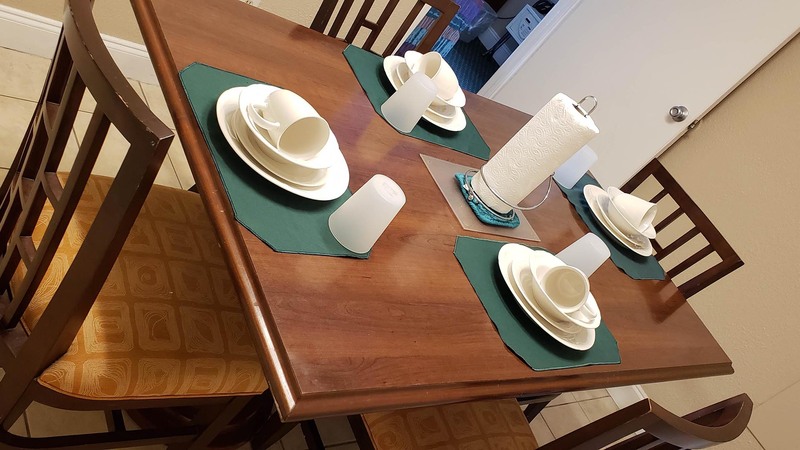 Standard room with a separate fully equipped Kitchen including stove/oven, refrigerator, microwave, kitchen utensils, sink, coffee maker, kitchen table and chairs.